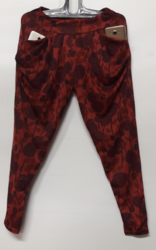 Our product range includes a wide range of ladies legging, ladies legging 4 zip, girls legging, zadine sb rib capri jegging, ladies china leggings and china leggings. Latest Trending Collection In India. Made from a highly stretchable material glazed at the bottom with the finest of nets available, zadine Net capri would offer your comfort and freedom with an elegant look all the day long. The capri is stretchable from 26" waist to 40" waist. The cloth is durable and would last. The length of the capri should be perfectly placed between the ankle and the knees to give you that surgically crafted good looks. 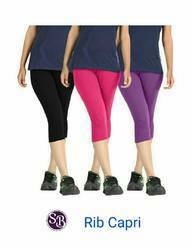 We are renowned amongst the most prominent enterprises of the industry, involved in offering a vast collection of Cotton Leggings. 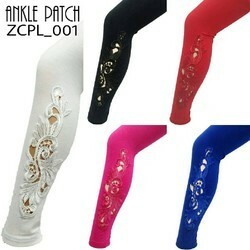 In addition to this, the products are offered in various patterns for fulfilling the needs of our patrons. We are placed amongst the noteworthy firm in the industry, engaged in offering a beautiful range of Beige Cotton Leggings. The offered products are stitched with following the latest fashion trends using premium quality fabric and advanced technology. 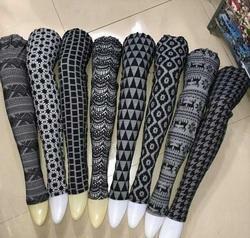 These leggings are quality tested under the guidance of quality controllers to ensure an error free collection at valuable clients. 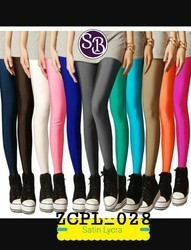 Our wide industry experience has enabled us in offering an extensive array of Dark Pink Cotton Leggings. These products are designed by experienced designers as per industry quality standards. Owing to features like lightweight, eye-catching designs, excellent finishing, and attractive patterns, all our products are admired by our valued clients. To meet the diverse needs of our fashion conscious clients’ we are offering an enticing range of Dark Green Cotton Leggings.